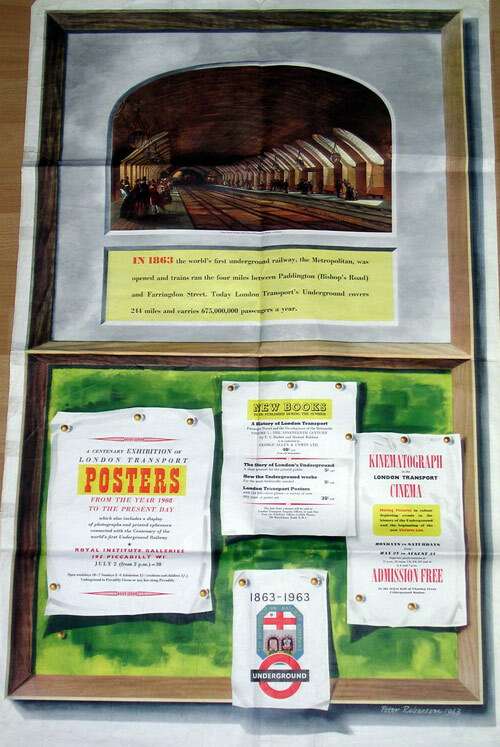 London Underground – 150th anniversary. But on consideration, I realised it was fifty years ago we did that. I still have the poster from that occasion. Can I gripe first about news coverage about a steam train on the tube? The line opened from Paddington to Farringdon Road in 1863 was not a tube. It was shallow, only just below street level and it was constructed by opening out a cutting and then putting a roof on it where needed. The whole of the Circle line, the Metropolitan and the District are cut and cover or out in the air normal railways. The first tube line in London, at deep level and formed in tube like fashion was the City and South London. It was opened in 1890 and was electrically operated from the start. Steam trains, to the best of my knowledge, have never operated in London tubes. But back in the 1960s, London Underground was still acquiring steam engines for maintenance work. Several ex GWR pannier tanks were purchased. The steamer had the advantage that it could work when the power was turned off. Trains could be said to have a life of about 30 years but in some cases they last much longer. After Minister of Transport Ernest Marples and his stooge, Dr Beeching, closed most of the lines on the Isle of Wight new trains were needed that were smaller in overall size than normal stock. 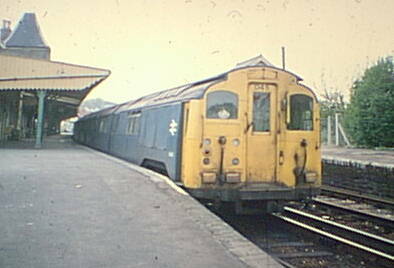 The Island Line between Ryde and Shanklin became the home for some old underground trains. Hang on. Let’s be precise. They were former tube trains. 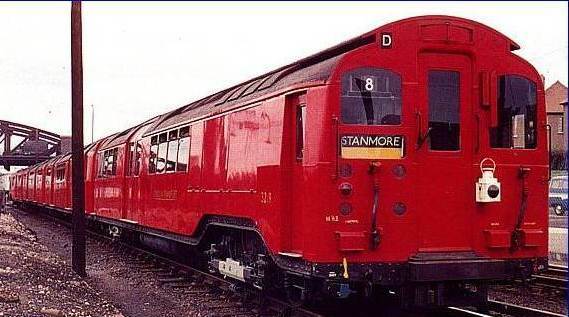 This image of such a train running in London Transport red comes from http://website.lineone.net/~jules_the_steam/Island%20Line%20Page.html . My memory is of trains in tunnels in London and they certainly don’t stick in the mind as having such sparkling bright paintwork. This entry was posted on January 11, 2013 at 6:48 am and is filed under railway. You can follow any responses to this entry through the RSS 2.0 feed. You can leave a response, or trackback from your own site.